Back to the more recent stuff now. I am not used to seeing writing from NEVERGIVEUP, who is better known for his bunnies and monsters, so this one in Dean Lane comes as a bit of a surprise. I can’t really make out what the letters say, probably because I haven’t seen much of his writing before and the style is typically unique. 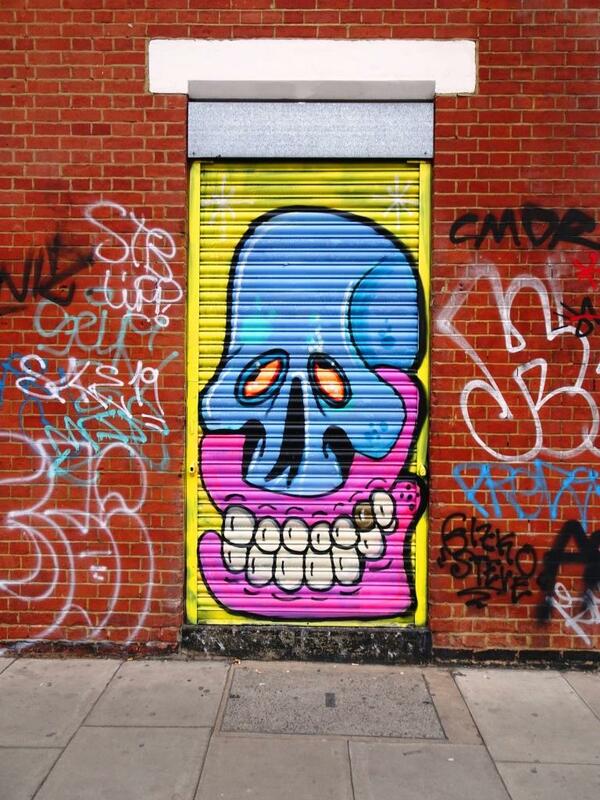 He does like to do things his way and is fast establishing himself into the Bristol street art scene. It is why I started blogging about it, to help people find out more. It is an almost impenetrable world. Sadly I just cant make it out. If I see him I will ask him.